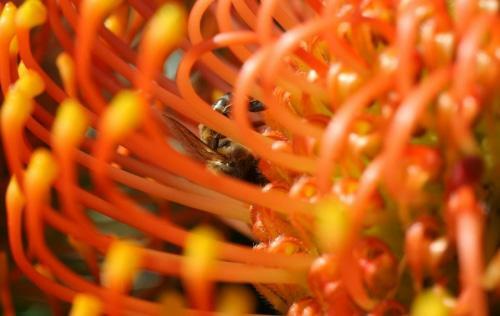 Here are some more pictures (taken by Jeremy) of a Pincushion Protea with a bee collecting pollen. 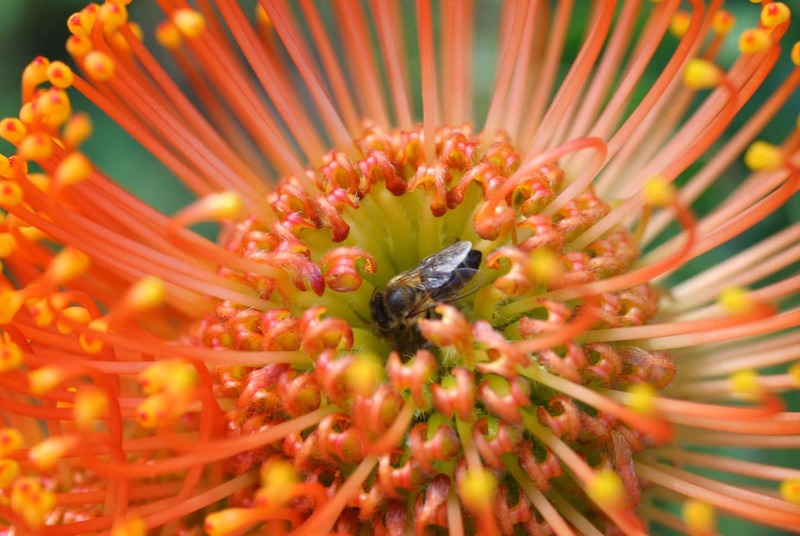 I am falling more and more in love with a macro-lens …. 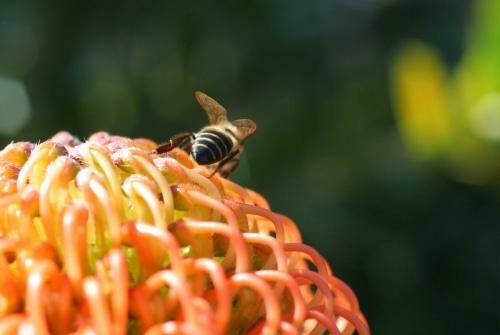 This entry was posted in Blog and tagged Bee, bee collecting pollen, collecting pollen, macro lens, pin cushion protea, pin-cushion, pincushion protea, Protea. Now I’m convinced I must also get a macro lens, thats really a intimate world of its own. Love the work of Laviada, inspiring to different approach and still combining the art. Wow…great pictures again!You have a good camera!Have a nice Friday! Hello Wendren….Love the sling bags with the cofee print, beautiful. Soon its christmas, do you have christmas in your country???? My camera most also have a macro lens, the pitctures is great. I will be back soon…………..